This little gallery is dedicated to the artwork of Jim Good. Most of the works here are transparent watercolors and line drawings. Other odds and ends are also exhibited from time to time, depending on what's going on in the studio. Please look through these works as you like and at your own pace. The gallery is updated regularly, but you may find that, occassionally, some items may already be sold without being marked as such in the gallery. Please enquire about anything you are interested in. 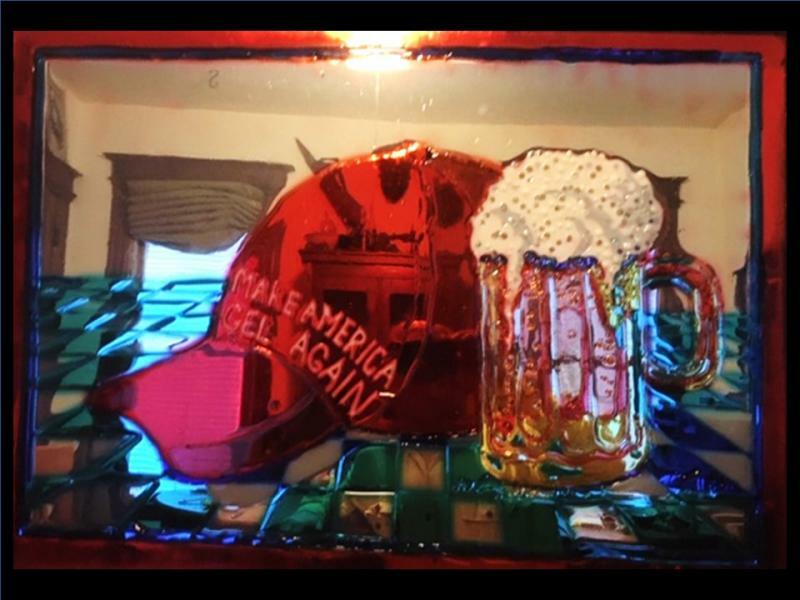 This 2019 jello commemorates the MAGA hat (but with a more positive message) and the beer summit all at once. It is about time everyone just had a beer and figured out what holds us together, rather than what pushes us apart. Contact the gallery management to ask about anything you see in the gallery.